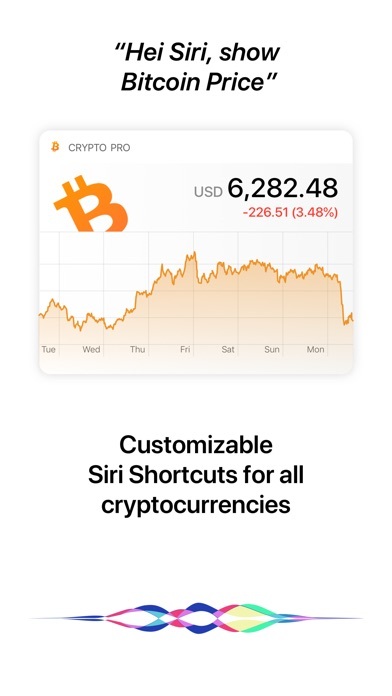 IOS App Developer: Crypto Tracker, Inc. 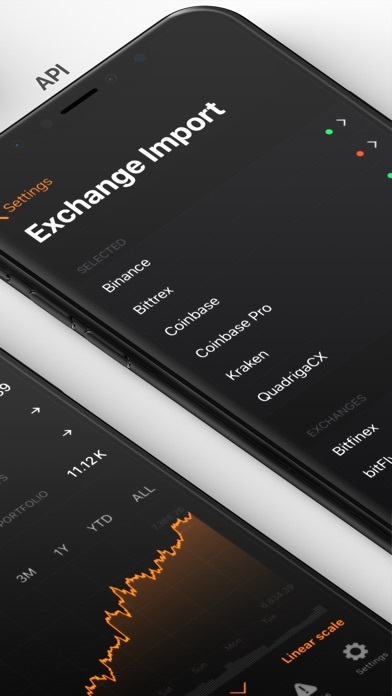 This app is the best I have tried that lets me link multiple exchange accounts using API keys and track them all under the same portfolio. I rate it 3 stars because for some reason it wont recognize my bittrex bch wallet. Every time I buy/sell bch on bittrex I have to enter the transaction manually to keep track of my investment otherwise the app just subtracts the $ amount from my portfolio’s value. For me this is a huge bug the developers must address. I also find the app to be very expensive. 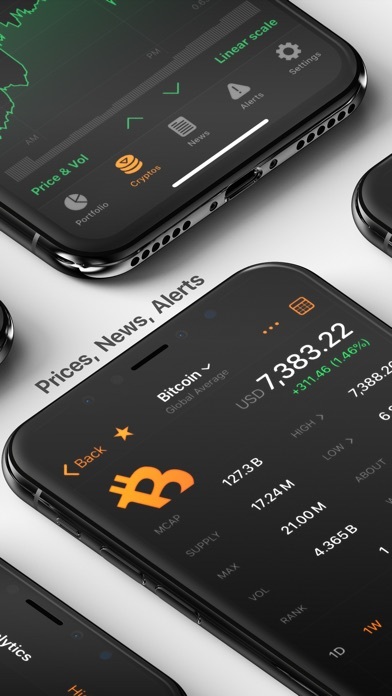 I am currently paying because the user interface is very good and being able to track all my wallets under the same portfolio is key but I don’t know if I will continue to pay $5 a month in the future. I’d like to see the actual dates I bought crypto in my portfolio. This app just works! Period. Highly recommended! They continue to evolve and improve the product. Well done! Graphs only show USD value. 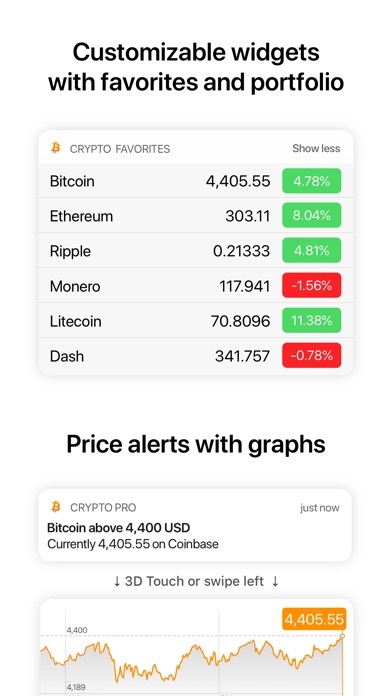 If you measure you crypto against Bitcoin, this app is not for you as it’s graph only displays USD. I love this app. It is easy and intuitive to use. Primary reason I use this app is for the alerts. However recently, I have numerous falls a price on earth. Litecoin got up to $62.80, however I was getting alerts that it was nearly $64. As with bitcoin, I got alerts that it was over $4185, when it barely even hit $4140. App is good but portfolio view is so confusing and many of the numbers make no sense. To view something as simple as how much $ you have made or lost you have to click this circle, but not to hard or it goes to another screen, and you have to hold this circle to see $ amount but the circle is right in the middle so you have to look around your finger to see it. If you let go it goes to another screen. Who wrote this layout? It is not useful or easy to use and you took something that should be simple and made it overly complex and not usable. 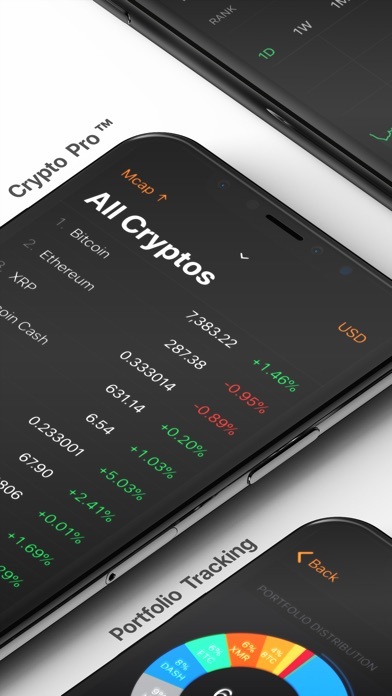 More IOS Apps by Crypto Tracker, Inc.